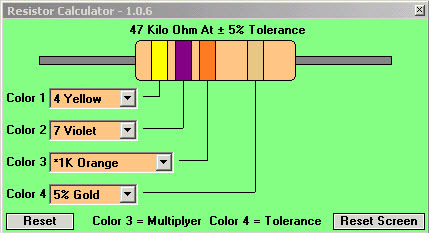 Resistor calculator is developed in such a fashion that you can calculate any needed resistance. Most other resistor calculators out their will allow you to input the color bands but have know way of inputting straight data. With this one you can. Automatically saves last resistor value calculated & screen position.